One finding of the Report referred to what the Visitators described as ‘a certain tendency, fairly widespread among priests, religious and laity, to hold theological opinions at variance with the teachings of the Magisterium’. The findings referred to this as a ‘serious situation’ requiring ‘particular attention’. Bishop Murphy has expressed his agreement that there is a need for unity and cohesion within the Church as a whole and that this must also be present in the local Church. Bishop Murphy has also commented on the controversy around recent plans proposed to make alterations to seminarians’ quarters at St Patrick’s College Maynooth. Rather than leading to segregation and isolation of seminarians the Bishop states that the changes planned will benefit the students there. He points out that, unlike in the past, most clerical students today are mature and in their late twenties or older. The academic year is shorter, students work during the summer and coming up to ordination they are sent out for periods to parishes. So by giving the seminarians separate space from the rest of the campus it will not have an isolating effect but will provide them with a place for themselves for necessary prayer and reflection. 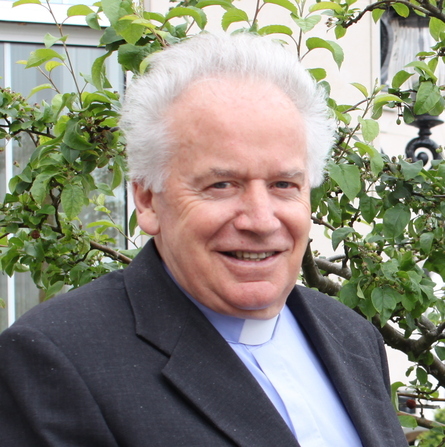 Commenting on another finding of the Report regarding a possible need for adaptation of diocesan structures ‘to make them better suited to the present day mission of the church’ Bishop Murphy has indicated that should structural changes be suggested “the people in each Diocese would be consulted before any such changes would take place”. Referring to the Kerry Diocese the Bishop remarked on the “long and rich Christian tradition going back for 900 years since the Diocese was set up” and he said that the people of Kerry would be “slow to lose that identity that they have as members of the Diocese of Kerry”.